Chioma Nkwodimmah Valcourt brings the strength of her culture, family and creativity to her work as an innovative hair stylist. Born of Nigerian descent, Chioma which means "Gift from God", started styling hair at the tender age of ten. Creating a demand with the local cheerleading squad, family members and friends, Chioma learned early on that her gifts were sought after and valued. By the age of 12, Chioma apprenticed in a local beauty salon where she honed her skills in cutting, braiding and weaving. In his best-selling book, Outliers, Malcolm Gladwell makes the case that those who are the best in their generation invest at least 10,000 hours into their craft. Chioma has exceeded this standard and sits at the top of the profession today due to her dedication and experience. Chioma is a college graduate with a B.A. in Political Science from Rutgers University. She brings her business savvy and global perspective to the profession. Her client base is loyal and strong because clients know that they are getting her best every time they sit in her chair. 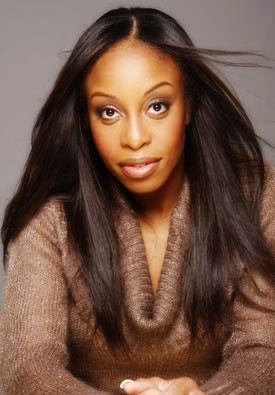 Chioma established herself as a premiere hair stylist for celebrities and A-list clients. Her work has been featured in numerous magazines such as Essence, Vogue, Rolling Stone, Bazaar and Seventeen. Campaign Ads include: Dooney & Burke, McDonald's, Echo Unlimited, ENYCE and Pillsbury. Television includes: ABC, NBC, CBS, Fox TV, MTV, VH1, BET, TV One, HBO and Showtime. Editorials include: Essence, Details, Rolling Stone, Vogue, Bazaar, YM, Honey, Black Hair, Allure, Glamour, Seventeen, VIBE, Maxim, Ebony and People. Come meet this BOSS "Influencer", and our other phenomenal honorees, at The BOSS Network's "Influencers" event on November 10, 2010 in in New York, NY. You can register for the event here. Come out and be inspired!